There are 2 cat videos tagged with world-marbles-day. Smokey and his owner play with a marble as it rolls down a track. Smokey's owner designed the track to be simple just so they could play together, how cute! 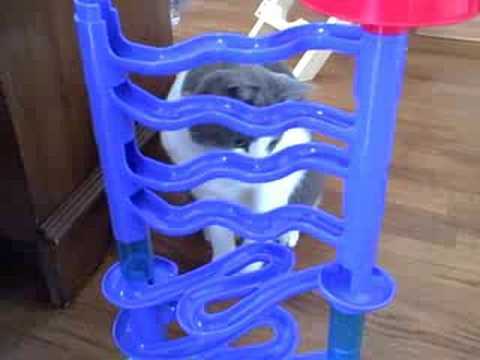 A kid and his cat play with a marble run... although it seems that the kid doesn't really want the cat's help!